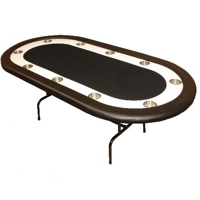 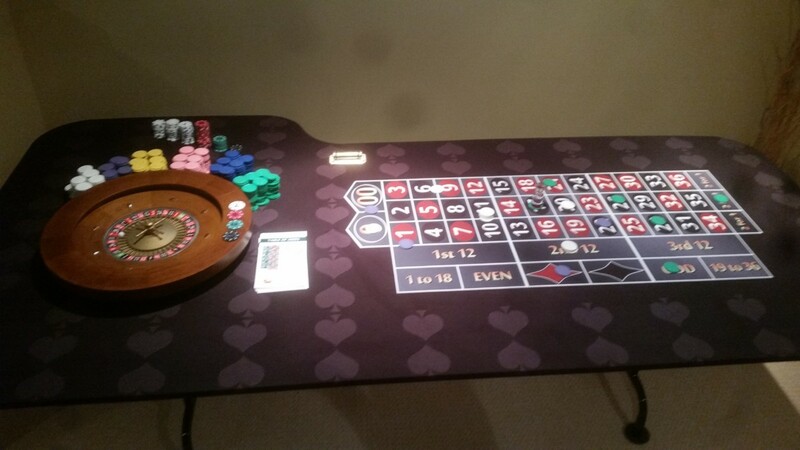 Seats up to 5 players at once plus a dealers position, supplied with chips, cards and chairs. 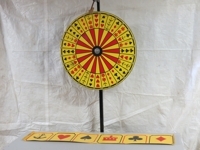 This classic game comes with a table panel and wheel and the stand comes apart. 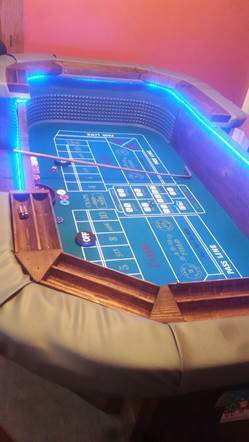 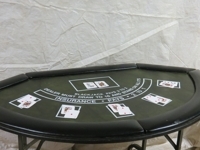 Seats up to 10 players at once and comes with playing cards.